Everyone who has learned to play a musical instrument knows that it’s quite the challenge to wrap your head around music notes, finger positions, tempo, rhythm and melody. But guess what? After you’ve gotten all that into your system, and are successfully playing music on your first chosen instrument, learning of a second instrument becomes that much easier. For instance, after you’ve taken guitar lessons in Scottsdale to learn to play guitar, you then practice, practice, practice to get better on guitar. Playing your guitar starts to become a habit, a part of your life. You find yourself picking up your guitar daily, to strum different chords, learn new songs, and practice lead note patterns and finger stylings. But after a few years, your musical palette opens up to new sounds. You’re hearing music in your head that might include rhythmic bass lines, or haunting piano chords. You start to get a sense that you should learn a new instrument. And you’re probably right. Because learning a second instrument will become that much easier to accomplish. Here’s why. Because you’ve already gained a musical background, your knowledge of musical theories is already proven, your musical ear is strong, and you’ve gained control over your fingers in basic patterns. So you’re already ahead of the game. Now that you embark on learning a second instrument, the knowledge you’ve accrued will be a positive force in learning the new instrument. This is one you don’t read about too often, but it’s very important. 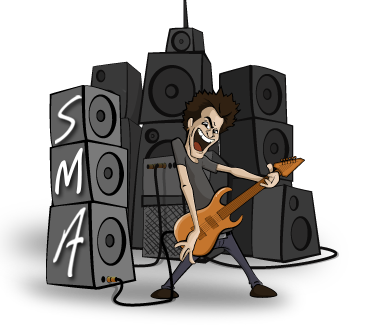 Let’s say you’ve learned how to play bass guitar with bass lessons at Scottsdale Music Academy. Now, if you decide to pick up guitar lessons next, you’ll know that the music impulses in your head from bass lessons will translate well to learning guitar. Having that intuition of how music filters through the brain, and how you are able to perform that music, is an important step in learning a new instrument. The expectations will be similar with the second instrument. Here’s the best part. Remember all those awkward early lessons where you didn’t even know where to put your fingers on the keys or the strings? Well, thankfully, you’ve now learned that! With a second instrument, getting your fingers in the right positions will be incrementally easier, and you’ll start to move ahead with lessons far more quickly than you did with the earlier instrument. 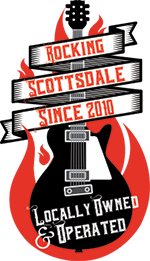 If you’re ready to start learning another musical instrument, we’re the best place in the North Scottsdale and North Phoenix area to do this! 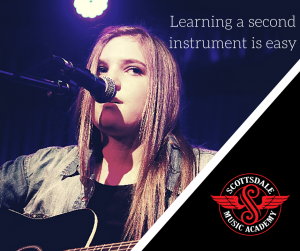 Call us at (602) 751-3537 to speak to our team of music pros, and come in to see how lessons are handled at Scottsdale Music Academy. Your first lesson is free!